Lost Tribe Sound’s new mix for Headphone Commute, titled “For A Time We Felt Like Giants” picks up right where it left off with their previous HC mix, “The Wounded Healer.” The mix covers the last couple years of output from the label, and looks forward into a wide array of unreleased material coming soon in the current 8-album Lost Tribe Sound series, titled, “We Stayed The Path That Fell To Shadow”. Within the 40 plus minute mix, LTS features never before heard songs from the upcoming William Ryan Fritch, Skyphone, Phonometrician, MALK, and Spheruleus albums. In addition, it gives a look back at more recently released albums by From the Mouth of the Sun, Gavin Miller (feat. Aaron Martin), Vieo Abiungo, Luton, and a Various Artist’s charity compilation released in 2018. It’s been a long brutal winter at label headquarters in Wisconsin, and it’s left a wanting for warmer days and the entry of a new season. The music of this mix has a definite watery and cyclical vibe to it. Trapped between the seemingly endless gray of winter, and the desire for warm coastal climates and surroundings with even the slightest hint of green. “For A Time We Felt Like Giants” ebbs and flows like the ocean tide, at times longingly searching the horizon for solid ground; at others, feeling a sense of hopefulness that the change of seasons will come soon. Perhaps all this is a metaphor for much larger matters at play, but we’ll leave it at that and let the music take it from here. 25:25 MALK - …And Rise! Artwork by Ryan Keane. 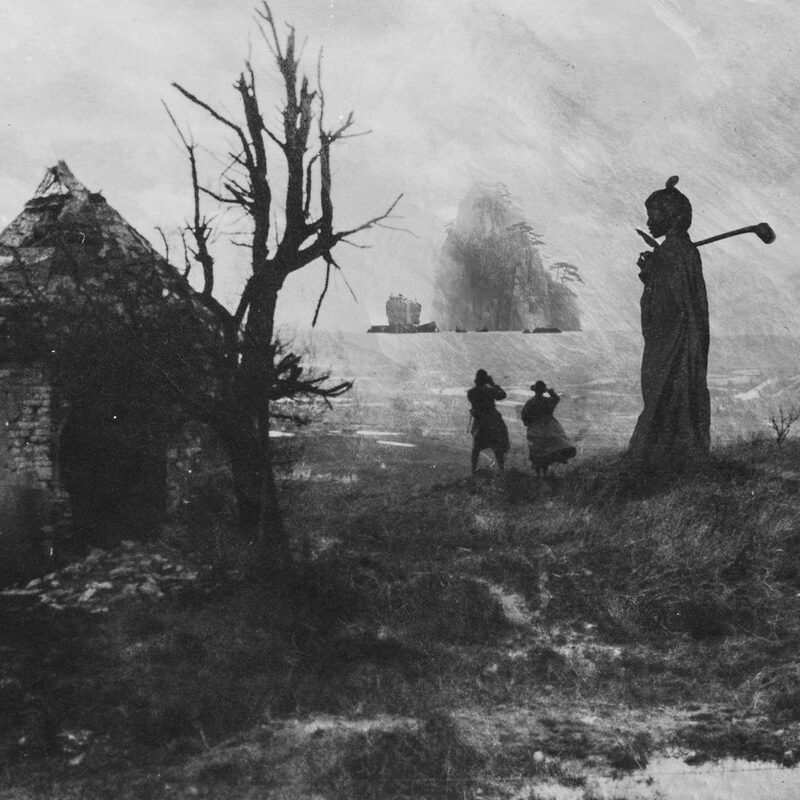 A digital collage taken from the pages of the recent deluxe CD book for the Various Artist compilation ‘We Stayed The Path That Fell To Shadow’ – Image Sources: “Two Women Looking Over Verdun in France During WWI CA. 1910, CC0-1.0-Universal – Additional photo by Nick Mealey “Misty Evergreens” CC-by-2.0. All images were modified from their originals.